Beloved husband, father, grandfather, friend and founder, Junkoh Harui, of Bainbridge Island, died peacefully Sunday, October 19, 2008 at his Bainbridge Island home surrounded by his family. He was 75. Born on Bainbridge Island on June 23, 1933, Junkoh grew up with his sister and three brothers amidst the natural beauty of pre-war Bainbridge Gardens. Junkoh graduated from Bainbridge High School in 1951 where he was Associated Student Body President. While in college, Junkoh met his wife, Christina. Junkoh graduated from the University of Washington in 1955, becoming a life-long Husky fan. 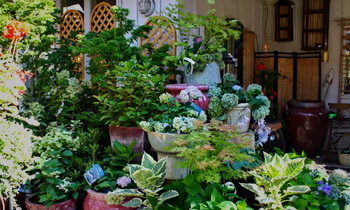 In 1958, Junkoh and Chris, opened Bainbridge Island’s first florist, Town and Country Florist in a 900-sq.-ft. space next to Town and Country Market in Winslow. As business grew, Junkoh and Chris moved the shop to the middle of Winslow Way. They continued to expand the nursery and in the early 70's, they moved the shop to the "Village," a larger location which became well-known along Highway 305. 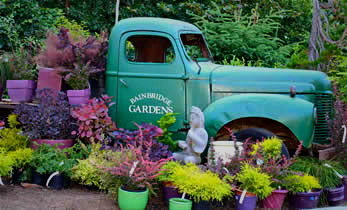 In 1989, Junkoh and Chris moved the nursery to its present location, the site where Junkoh grew up, renovating the site and renaming the business "Bainbridge Gardens." In 2008, Junkoh and Chris celebrated 50 years of marriage and 50 years of business on Bainbridge Island. 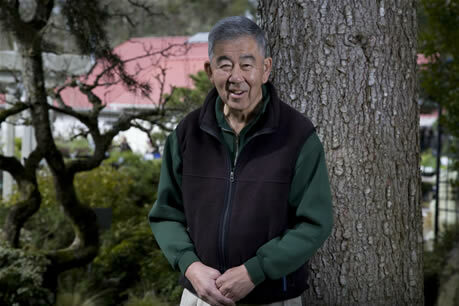 Junkoh’s love of the garden and his commitment to his customers allowed him to share the beauty of nature with generations of Bainbridge Islanders. Junkoh was known for his involvement and leadership in countless community projects and events. He is credited for inspiring many to seek their talents and follow their dreams and was respected and admired by many in the community. Junkoh is survived by his wife, Chris; children, Donna of Bainbridge Island; Alex (Cynthia) of Foster City, CA; Roger (Greta) of Seattle; and Sandra (John Vanderzanden)of Seattle and five grandchildren, Sam and Leah Bouillon, Ella and Alise Vanderzanden, and Nolan Harui. Junkoh also is survived by his sister, Terry Marlatt (Stewart) of Reno, NV, brothers Norio of Seattle; and Hiro (Kumiko) of Wenatchee and many nieces, nephews, and cousins. Junkoh was preceded in death by his brother, Yoshio "Art" (Grace).